Prototyping | EINST Technology Pte Ltd.
Prototyping is important to ensure product concept during R&D are functional and feasible for production. 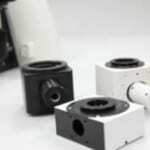 At EINST, we help you translate your design into working models. Whether you are a MNC, SME or a start-up, we understand your needs are unique hence we take the effort to understand your wider business and technology requirement with our experienced engineering team, supported by our scientists, to ensure a holistic approach to your needs. An open concept Confocal Scanner synchronized for Fluorescence Lifetime Imaging with Labview ready for researcher’s to further tailor to their research using free-space lasers including femtosecond lasers, and with multiple options of detectors.An open concept Confocal Scanner synchronized for Fluorescence Lifetime Imaging with Labview ready for researcher’s to further tailor to their research using free-space lasers including femtosecond lasers, and with multiple options of detectors. 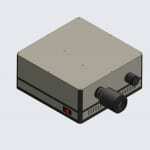 Microscope Epi-module for flexible input of lasers or illumination, or output of signals or images. 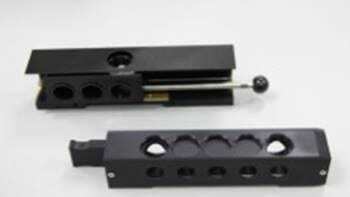 Microscope epi illumination slider for flexible choice of filters for various wavelength selection without re-alignment.